South Africa’s two early table grape regions have completed their harvests with the northern region turning in a record performance, packing 6.8m cartons compared to last year’s 5.5m cartons and only 4.7m cartons the year before. It is a remarkable performance for a summer rainfall region where growers over time have had to introduce production practices that negate the impact of summer rains and extreme conditions such as hail which, two decades ago, led to experts dismissing the region as serious option for growing table grapes. On the other hand the Orange River region, despite having sufficient water, fell short of last year’s record crop of 20.5m cartons, finishing on just over 19m cartons. The Olifants River is now also in the final stages of packing and the Berg River is nearing the end. The Hex River Valley is in its peak packing weeks. These regions are the most affected by the drought. So far this year, up to week nine, the total volume packed is lagging some 7.5m cartons behind the volumes seen in the same week last year. Despite the problems with the drought in the Western Cape the total volume packed so far is still more than the volumes of 2014/15 and 2015/16. Nearly 8m cartons have been exported so far, which is almost 8m cartons less than in 2017. SATI’s figures show that 40 per cent of this year’s harvest was red seedless varieties and 35 per cent white seedless. 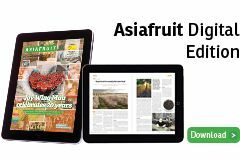 Around 14 per cent represented black seedless varieties and in the industry there are still small volumes of seeded grapes being packed. 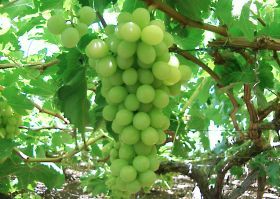 So far 77 per cent of the total export crop has been shipped to the European Union and the UK, demonstrating the fact that the markets in those regions still dominate the fortunes of the South African table grape export industries. Around 15 per cent is split equally between Canada, the Middle East and the Far East. Since last year Canada has increased in importance as a shipping destination for South African grapes, although all three of these markets are this year perhaps suffering as destinations because of the smaller crop and the recent strengthening of the South African currency against the US dollar. It may well be a different story next year when crops return to normal.